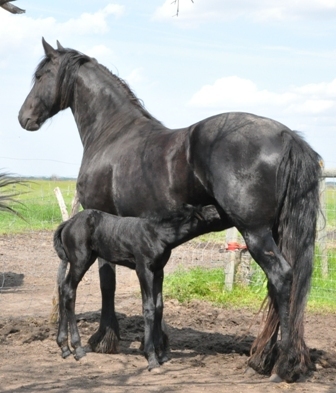 Vokeltsje D. is a full papered star mare, sired by Tije 401 Sport. 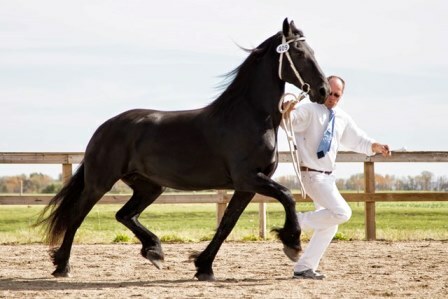 two approved stallions - Leffert 306 Pref and Tietse 428. For more information on Vogue, click here. 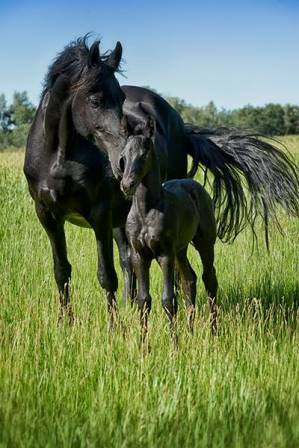 Undara is a full papered, third premium studbook mare by Erik. She is the last filly out of our old star Hearke mare, Ourenske H.
She is the continuation of Ourenske's bloodlines now that her dam has passed away. For more information on Undara, click here. Ceridwen is our 2008 daughter out of our first premium star mare Shera. She is a full papered third premium studbook mare. Her sire is Wander 352 of Checkerboard Farms. For more information on Cera, click here. Eowyn is our 2009 mare sired by Jakob 302. For more information on Eowyn, click here. Trienke is a 2006 mare sired by Ulke 338 Sport. She comes to us on breeding lease from Carla Jordet in Olds, AB. She offers some exciting new bloodlines to our breeding program! For more information on Trienke, click here.